After a pause between seasons that took months, Canada’s national sport is back. Calgary is looking for a strong season after a disappointing finish to 2012, and has a new face as the head coach behind the bench to guide them. After storming though the regular season and compiling a league best record of 12-4, the winning Edmonton Rush shocked the Roughnecks in the playoffs. The finish no one was expecting, as the team looked poised to challenge for its third ever Champions’ Cup. As good as the team is expected to be in the regular season, it won’t matter if the Roughnecks don’t succeed in the playoffs. They’ve won it all twice, but those were also the only two times the team has made the final. Still, you’ve still got to make it into the playoffs if you want a chance of succeeding. The Reflector gives you all the goods you need on this year’s team. The biggest change on the Roughnecks roster is that for the first time in more than a decade, Kaleb Toth will not be with the team. Since coming over from the Toronto Rock in 2002, he helped the Riggers first crack the playoff barrier, and Toth and the team never looked back. Now, it is time for the team to look forward. Not only will they miss Toth on the field, as he was a big offensive force for Calgary with his wicked shot, but they will also miss his leadership in the locker room. The other notable departures are Cory Conway, who was traded to the Rush, and Mike Kilby, who was not re-signed. Behind the bench, Dave Pym was not brought back, with the obvious issue being playoff success. The Roughnecks consistently have one of the top teams, often times being the best, but that is only in the regular season. They are a combined 45-19 spanning from 2009 to 2012, which is an incredible record in any sport at any level. If you take a look at the playoffs though, they are 4-3. If you take out their championship year in 2009, which is where three of their wins are accounted for, then you are left with a 1-3 record. With the head coach position vacant, that would have been the biggest spot for someone to come in to. However, the team chose to play this one close to home, hiring former Roughneck Curt Malawsky to take the reins. 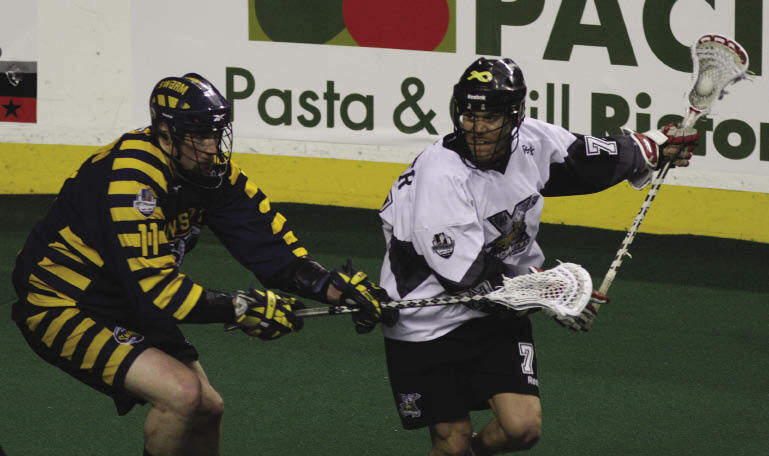 Malawsky, who retired from lacrosse in 2009 after winning with the Riggers, has held various positions within the Roughnecks organization before taking over as head coach this year. He inherits a pretty talented group, but he knows where he needs to shine. On the field, there weren’t any huge additions made, with maythe possible exception of free agent Brad Richardson to the defensive corps. Richardson should be a solid depth player this season. Most of Calgary’s acquisitions will reveal how big they’ll be in a couple years, as almost all of them were from the draft. Calgary didn’t need to make many changes in the offseason is that it already has an incredibly high caliber of players already on its roster. The Roughnecks are looked upon as a great franchise to play for, making it easy for the team to retain its top players. Jeff Shattler, Daryl Veltman and leading scorer with 32 goals Shawn Evans,will be relied upon again to spark the offense. Calgary’s depth is not to be overlooked though, and that includes ace faceoff man Geoff Snider, who led the league last year with 232 loose balls to go along with his 276 faceoff wins, which were second in the league. At the time of publication, the Roughnecks were already three games into the season. There have been some ups and downs, probably more downs than ups. 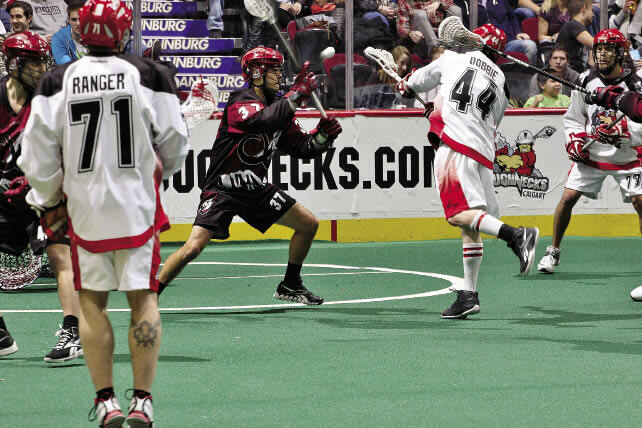 The first two games were heartbreakers, as The Riggers lost by two to The Rock to open the season, and then followed up next week by halving that margin and losing by a point to the Colorado Mammoth. An optimist might say that a few bounces either way could have had the Roughnecks starting the season 2-0. The cynic might say that the Roughnecks have translated not being able to finish the deal from the playoffs to the regular season. It’s more likely that both sentiments hold some truth. The third game held better fortunes, as the team travelled to Colorado and came out with a convincing 19-12. Evans set a new franchise record with 12 points in that game, and the Riggers looked like maybe they’d returned to form. It is possible that the first two games were growing pains under new coach Malawsky, so the rest of the season should be an interesting one to watch. Without sounding like a broken record, regular season should not be a problem, if the team stays healthy. Last year, Calgary had the second-best offense, and that was complemented by the defense. For some reason, this team plays better on the road than it does in the confines of the Saddledome. The 2013 Roughnecks will face some teams they havn’t haven’t seen in a while, which is shocking considering there are only nine teams in the National Lacrosse League. The team’s next game is against the Philadelphia Wings, and these teams haven’t played each other since 2011. If they can figure out how the Edmonton Rush stomped them to end last season, that would be a huge boost. After the game against the Wings, they’ll face the Rush in four of their remaining 12 games. With the division always being so tightly contested, those will be huge games. With the core of the team still playing at the level Calgary has come to expect, you can all but guarantee a playoff spot for the Roughnecks. The team has gone through a lot of front management changes since their win in 2009, and you have to imagine that if this isn’t the last season to prove that the players have another championship in them, it is getting close. After all, lacrosse is a very physically demanding sport, these guys aren’t getting any younger and other great sports clichés that are often found in sports previews. The best thing you could do to support the team is actually attend a game, as the biggest woes the team has had over the last few years are financial, and the city City of Calgary is missing a great sporting adventure by not getting caught up in Roughneck fever. Next story Want to study abroad?